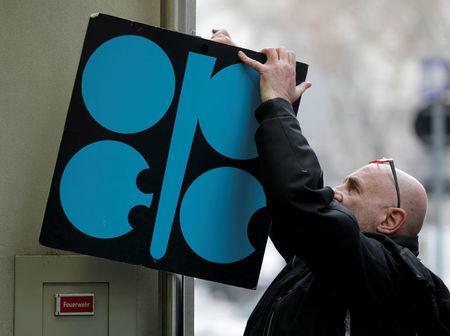 LONDON (Reuters) - OPEC is struggling to add barrels to the market after agreeing in June to increase output, an internal document seen by Reuters showed, as an increase in Saudi Arabia was offset by declines in Iran, Venezuela and Angola. OPEC says it is on course to do so, although it hasn't given a timeframe. "It is a work in progress," OPEC Secretary General Mohammad Barkindo said earlier this week. The internal document prepared by OPEC's Vienna headquarters for a technical panel meeting on Friday showed that OPEC members, excluding Nigeria, Libya and Congo pumped an extra 428,000 bpd in September compared to May. The OPEC and non-OPEC technical panel called the Joint Technical Committee reviews producers' compliance with their oil supply pledges. "There is no spare capacity," Iran's OPEC governor, Hossein Kazempour Ardebili, said last month. Nigeria, Libya and Congo are not included in OPEC's supply-limiting pact. Including them brings the increase in OPEC's output in September to 628,000 bpd.